West Mercer is made up of neighborhoods that line that western shores of Mercer Island along Lake Washington. Often referred to as the “Gold Coast,” the area is known for its many beaches and waterfront landings, like Groveland Beach Park as well as Proctor Landing, Slater Park, Calkins Landing and Garfield Landing in East Seattle, all ideal for catching the colorful sunsets over the lake, thanks to their western vantage points. With West Mercer waterfront real estate you’re likely to be able to take in those views from home, inside and out. The neighborhoods of West Mercer, including Forest Avenue, Groveland Park, Lakeview Highlands and East Seattle are the largest, though each offers a unique feel. Here, homes on the water offer easy access to the lake in one of the most dramatic settings across the Puget Sound region. In fact, West Mercer properties are considered some of the most extraordinary in the state, and even the entire country, which is way they tend to have some of the highest price tags. With West Mercer waterfront real estate, you’ll have easy access to both Seattle and Bellevue, with the island connected via the I-90 floating bridges, while enjoying a peaceful, heavily wooded residential feel at home. In just minutes you can be enjoying the host of city amenities to the west or to the east, including fine dining, high-end shopping, nightlife and entertainment, and a thriving arts and cultural scene. While you’re likely to be just steps away from the water and beaches, at Groveland Beach Park you can also take advantage of a dock for fishing and sunbathing, as well as the large sandy beach, barbecues, a playground and more. West Mercer waterfront real estate truly provides some of the world’s best island and waterfront living, with unparalleled luxury and views, often through massive walls of windows and a private deck. Many homes include every perk you can imagine, like a new dock and features you hadn’t even considered, such as a heated driveway that leads to the water’s edge. Take advantage of our industry-leading tools to make your property search as easy as possible and be sure to register for a FREE account so that you can receive email alerts whenever new West Mercer real estate for sale hits the market. 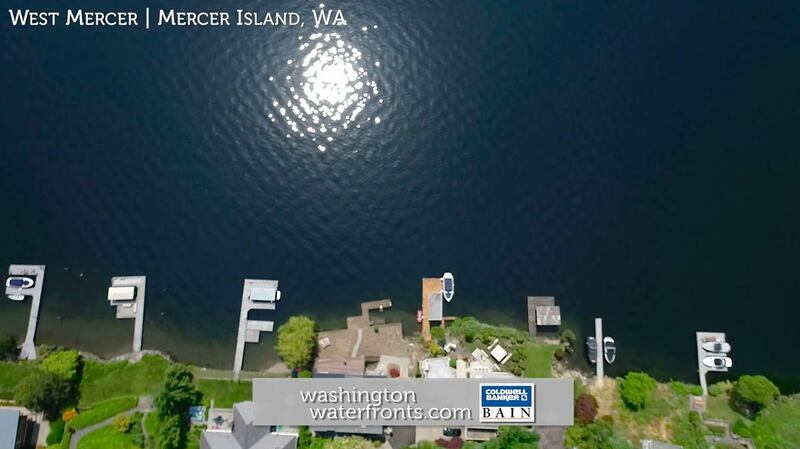 If you’re seeking to sell your West Mercer property, contact our Waterfront Specialists directly for a comprehensive listing analysis and to learn more about the cutting-edge marketing strategies we’ll use to sell your home quickly for top dollar!